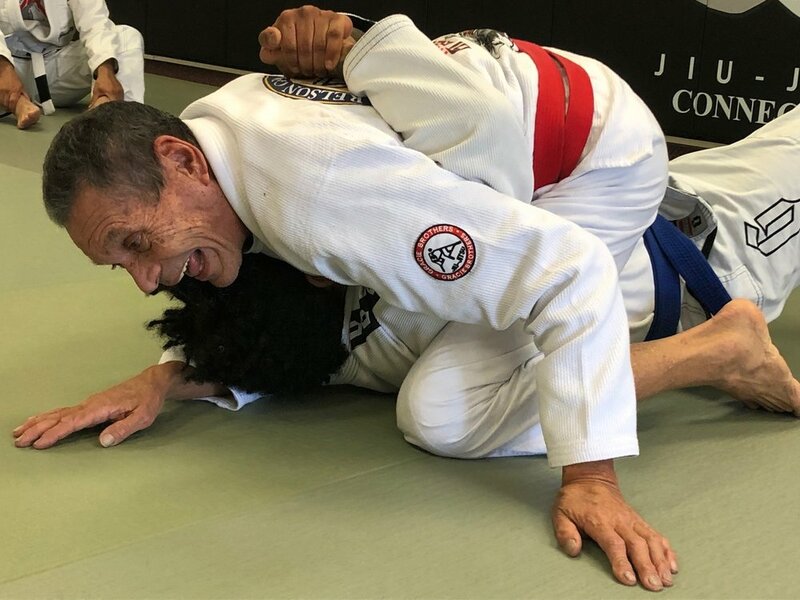 In what may arguably be the best blog post this website has ever seen, Jeremy Payne has provided an amusing, yet accurate summary of yesterday’s Relson Gracie seminar. Without further ado, here is is! 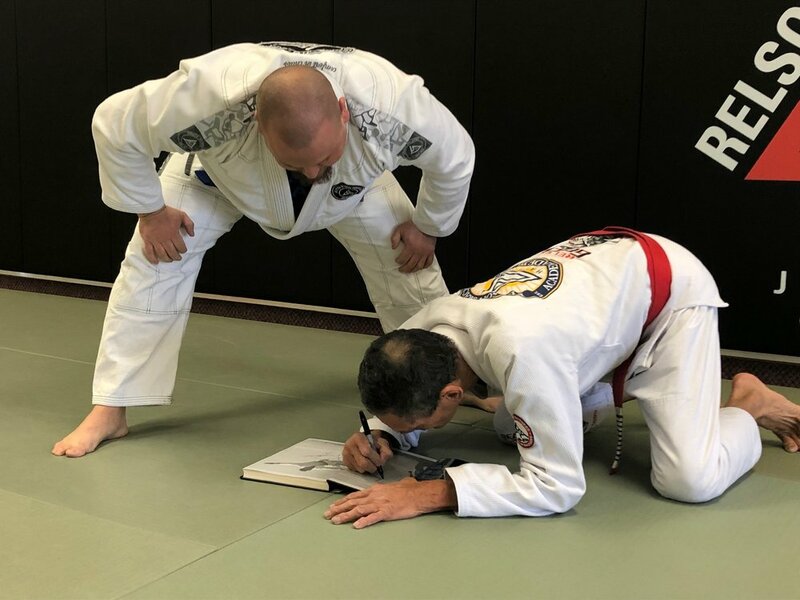 In hopes to capture the feeling I have just one day removed from the latest Relson Gracie seminar, I wanted to write a quick blog in hopes of remembering everything I learned, but to also convey what I thought were the most important points for others to stew on. Having been to…I can’t remember how many seminars by Relson, the single biggest thing I always take away, and admittedly lose sight of all too quickly, is that fundamentals trump all. Relson has a finite set of techniques that he knows work and he focuses on them almost exclusively. Everything else seems to be BS in his mind. He doesn’t like butterfly, or Z guard, or De La Riva, or X guard - his philosophy is that if you make it impossible for your opponent to get to these positions by having really sound and fundamental techniques of your own, you don’t need an arsenal of defensive escapes for them (similarly, I think it’s pretty clear he doesn’t see their offensive benefit either). All this being said, we of course train and use these techniques because we need to be exposed to them to fully understand them. But, with lots of repetition, we should be able to completely destroy anyone who relies on these techniques. 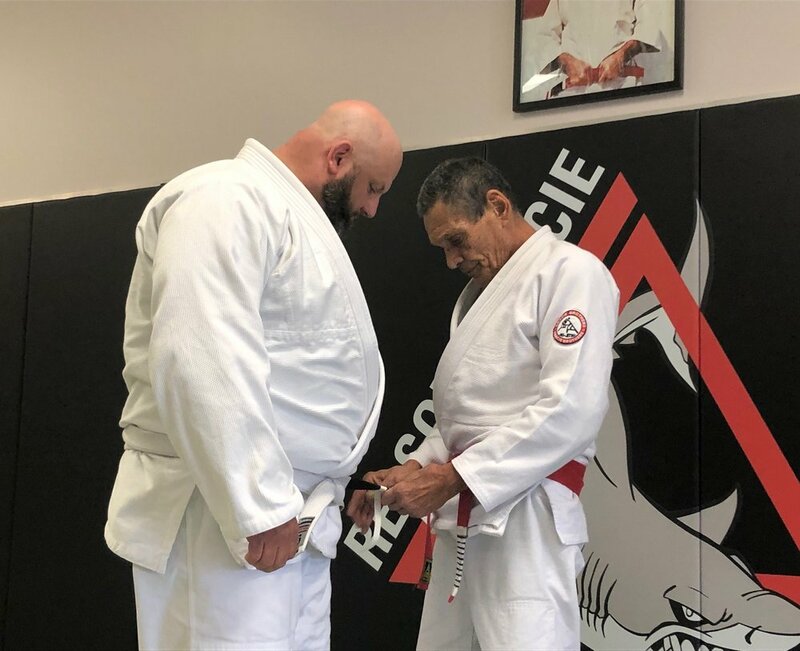 Since Relson can be so animated and comical in training, it can be easy to miss some important things he does as an instructor. First, he repeats things maybe 20 times before we break to practice the technique. This is huge and you shouldn’t just think “Yeah, okay Relson- I got it! Let me try it already!” I guarantee if you were tuning out during some of his rants on the importance of a position, you did the technique wrong in some way. He repeats them not because he’s crazy; he does it so it gets hammered in your head. You have the chance to listen and hear it a few times, then listen while watching him execute the technique a bunch of times. By conceptualizing it in your head, then witnessing the effectiveness over and over, hopefully when you go to do it yourself, you just hear and see his teachings in your head and get it right the first time. Then, with lots of “hepetish” (repetition), you’ll start to master the technique. Another important thing Relson does in instructing is that he is always fighting himself. How can a technique be beaten? The perfect answer is that it cannot and Relson seems to have the perfect answers in almost every position. For example, the only way to escape Relson’s side control is if he abandons his position. He very vividly and comically always has the internal/external conversation with himself and the referee: The referee says, “Mr. Gracie- you haven’t moved in a 30 seconds- you need to advance pozish! (position)!” Relson thinks to himself, “Okay, but if I move, he’ll escape. Maybe I’ll pretend I don’t understand…” The ref yells, “Mr. Gracie, I’m going to deduct a point!” and so on. The big point you should take away is that there is a perfect position and you should be reluctant to give it up. 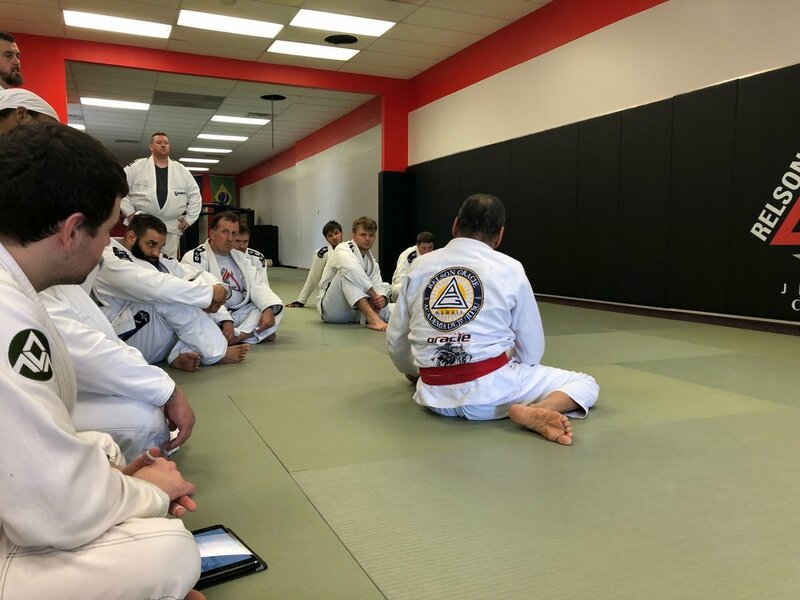 Get your points, get your breath back, let them get tired and then when you have to move, hope they don’t know the Relson Gracie technique, make strategic decisions and try to finish the fight. 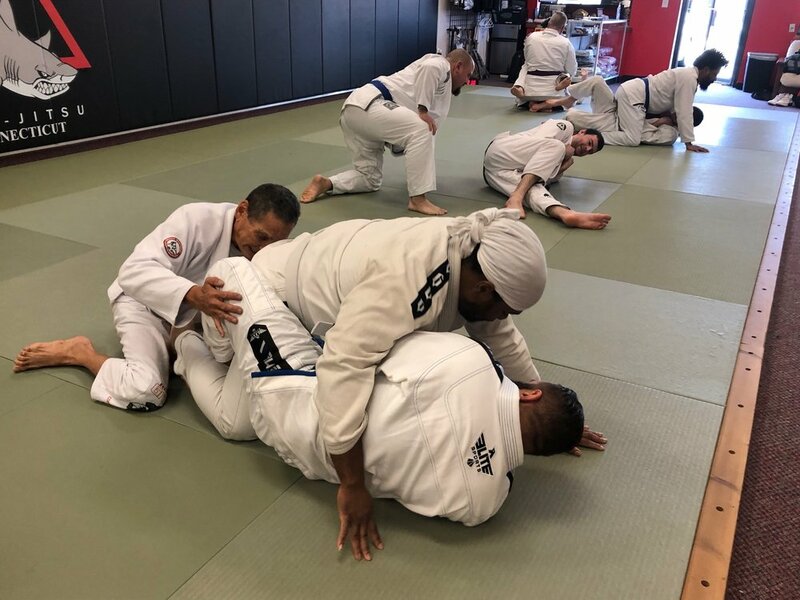 When you’re on the receiving end of this side control, for example, relax- you’re not getting out unless they let go of your knee or belt. Stop bumping around like a fish out of water- you’re a shark and know better. When they do let go of your knee or belt, be ready to react fast; it’s your only way out. 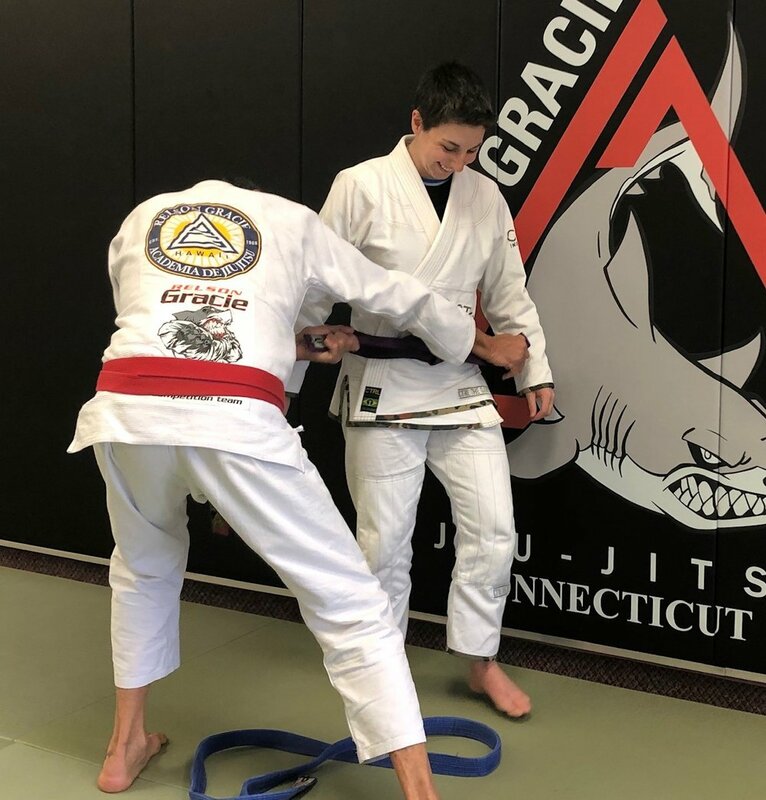 Fundamentals beat fancy and that’s the Gracie way. Rickson preached the same stuff when we went to his seminar in NY. The fancy stuff we see in youtube clips is fun to try out and we ought to; if you’re exposed to something, you’ll be better prepared to defend against it. That said, find the go-to fundamental techniques that we know work from Relson’s system and use those as your base. If your opponent cannot set-up her barimbolo sweep because your guard escape and defense is rock solid, then you just made your win that much easier. I’m dedicating myself to try and master these techniques Relson showed us and I hope you do, too. 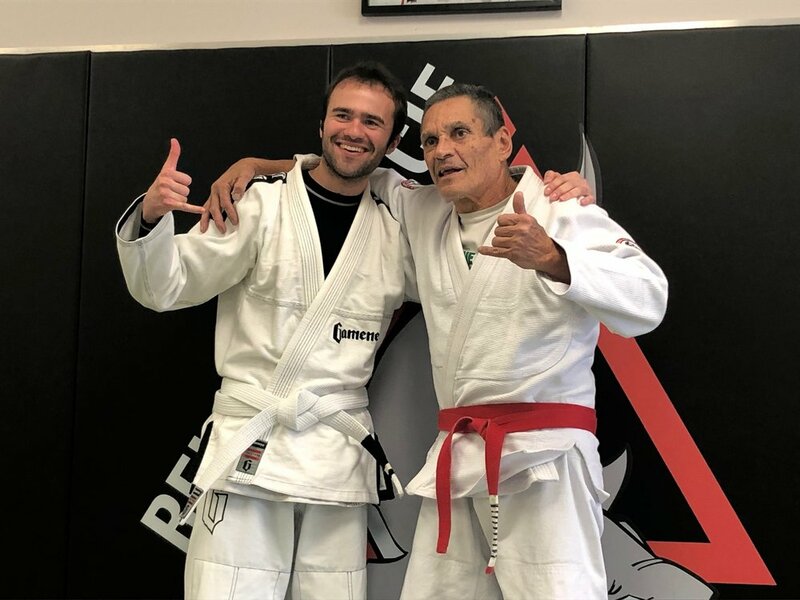 Who are we to think we know better than a 66 year old, 9th degree red belt that got 32 girlfriends within 3 months? Hold inside of nearside leg, arm behind neck and holding belt. Hips low, knee near their head points towards their head. To escape, they have to let go of your leg. If they do this, belly down and get to knees. Or, if they let go of your belt, hip away, put leg over their head. Grapevine mount: Raise dominant foot high, turn knee inward, kick their other grapevine off. Get to your side (“baby born!”), posting your knee downwards and post toes on the mat so they cannot reclaim their grapevine. Finish the elbow escape. Pull their head with dominant hand, slide non-dominant knee up towards their head, trap their arm between your leg and arm. 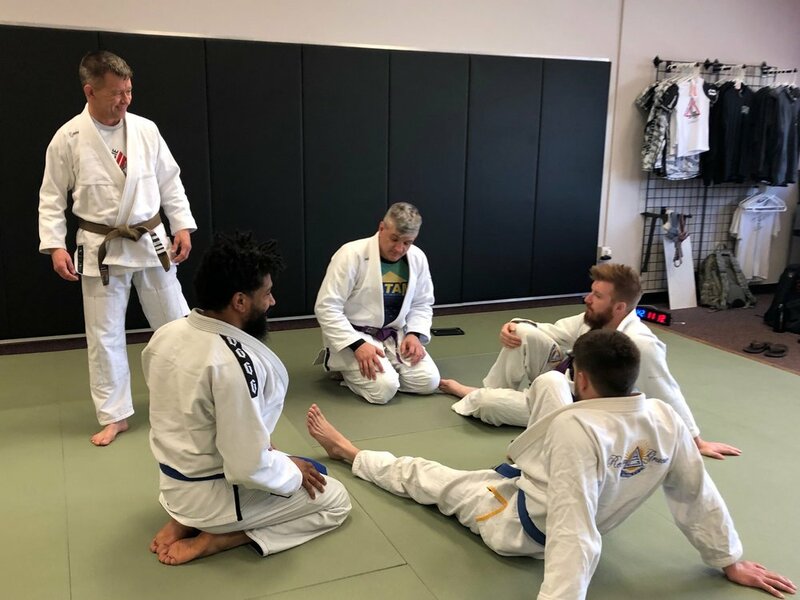 Keep elbow on mat (do not fall on side), bring dominant knee onto their chest. Wrap the arm, slowly lay back and finish armbar with downward pressure on chest with dominant knee. Grab collar by neck, twist and turn knuckles into their neck. Lift them up. Plant non-dominant foot tight to their hip. Stand up and stack them up. They can even have a cross collar set, doesn’t matter. Plant non dominant hand on the opposite side of the head/neck. Trap the leg on your dominant side with elbow. Walk towards the side you are trapping their knee so they roll over neck to set-up ankle lock. Step dominant leg over so your shin is on their hamstring. Finish ankle lock. Use non-dominant hand to grab same side seam of gi. Reach over their same arm with your dominant hand, grabbing seam of gi and pinning their arm down forcefully. Bring non-dominant foot to their hip, keeping your knee tight to their shoulder. Push off the foot and use dominant leg high in their armpit to spin yourself/push them off balance (north/south to east/west). 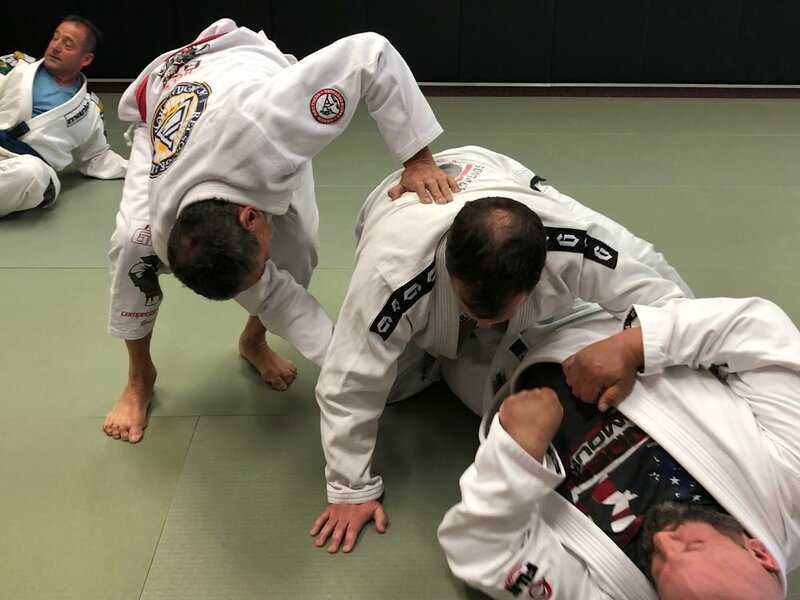 Bring non-dominant leg over their head. Cross feet, pinch knees and finish arm bar. Defensive arm posture: both arms vertical, stacked in front of face. Forces them to throw hooks, then post the forearm, turn to side and clinch. As a follow-up to Jeremy’s blog post, I’ve selected my favorite pictures from yesterday and shared them below. If you’d like to see the full set, check out the album on our Facebook page!